Barnstable County Sheriff's Office invites you to view, use and download a single copy of this Web Site for your personal informational, non-commercial use provided that you keep intact all copyright, trademark and other proprietary rights notices. All content on this web site (including any bulletin boards contained herein) is provided to you on an as is, as available basis without warranty of any kind, either express or implied, including but not limited to the implied warranties of merchantability, fitness for a particular purpose, and non-infringement. Barnstable County Sheriff's Office makes no warranty as to the accuracy, completeness, currency, or reliability of any content available through this web site. Barnstable County Sheriff's Office makes no representations or warranties that use of the web site (including any bulletin boards contained herein) will be uninterrupted or error-free. you are responsible for taking all precautions necessary to ensure that any content you may obtain from the web site is free of viruses. Barnstable County Sheriff's Office specifically disclaims any and all liability, whether based in contract, tort, strict liability or otherwise, for any direct, indirect, incidental, consequential, or special damages arising out of or in any way connected with access to or use of the web site, even if Barnstable County Sheriff's Office has been advised of the possibility of such damages, including but not limited to reliance by any party on any content obtained through use of this web site, or that arises in connection with mistakes or omissions in, or delays in transmission of, information to or from the user, interruptions in telecommunications connections to the web site or viruses, whether caused in whole or in part by negligence, acts of god, telecommunications failure, theft or destruction of, or unauthorized access to the web site or related information. You understand that the Internet is public and that e-mail communications between you and Barnstable County Sheriff's Office via this Web Site are subject to the risk of being viewed by other parties. Accordingly, you agree not to transmit confidential or proprietary information relating to you or your business to Barnstable County Sheriff's Office via e-mail. This Web Site is protected by U.S. and international copyright laws. You may not modify, perform, display, reproduce or distribute (a) content on this Web Site (other than as set forth herein), (b) the design or layout of the Web Site or individual sections of the design or layout of the Web Site or (c) Barnstable County Sheriff's Office logos without Barnstable County Sheriff's Office's written permission. 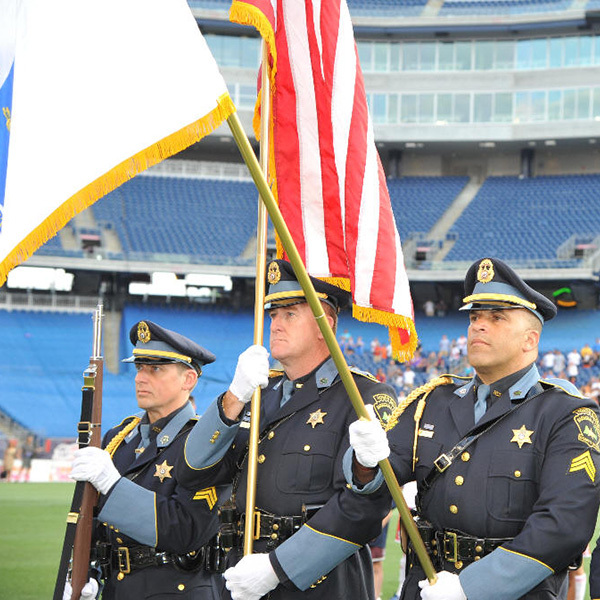 Barnstable County Sheriff's Office is a registered trademark and trademark of Barnstable County Sheriff's Office. Unauthorized use of any of Barnstable County Sheriff's Office's trademarks or logos is a violation of federal and state trademark laws. 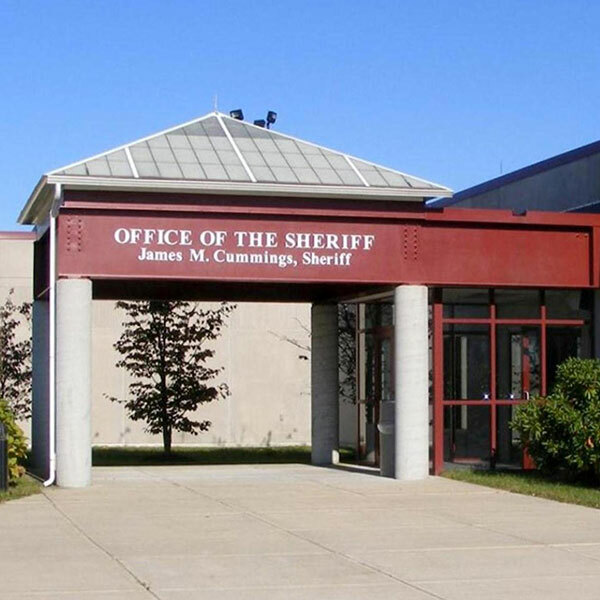 Barnstable County Sheriff's Office reserves the right to seek all remedies available at law and in equity for violations of the rules and regulations set forth in this Web Site, including the right to block access from a particular Internet address to the Web Site. Any description or reference to non-Barnstable County Sheriff's Office entities or their respective products or services in this Web Site is for informational purposes only and does not constitute an endorsement or a recommendation of such products or services by Barnstable County Sheriff's Office, nor does it constitute any endorsement or recommendation of Barnstable County Sheriff's Office or this Web Site by the non-Barnstable County Sheriff's Office entities referenced in this Web Site. Any opinions, advice, statements, services, offers or other information expressed or made available by third parties, including information providers, users or others, are those of the respective author(s) or distributor(s) and do not necessarily state or reflect the views, findings or opinions of Barnstable County Sheriff's Office. There may be links in this web site which will let you leave Barnstable County Sheriff's Office's web site. the linked sites are not under the control of Barnstable County Sheriff's Office, and the content available on the internet sites linked to this web site do not necessarily reflect the opinion of Barnstable County Sheriff's Office. Barnstable County Sheriff's Office is providing these links to other internet sites as a convenience to you, and access to any other internet sites linked to this web site is at your own risk. Barnstable County Sheriff's Office assumes no responsibility for, or any obligation to monitor, the content of such linked internet sites. the inclusion of any link does not imply a recommendation or endorsement by Barnstable County Sheriff's Office of the linked site. You may link to the Web Site without express authorization, provided that you adhere to Barnstable County Sheriff's Office's linking policy as follows: (i) the appearance, position and other attributes of the link may not be such as to damage or dilute the goodwill associated with Barnstable County Sheriff's Office's names and trademarks; (ii) the link must point to the URL premiumply.com and not to other web pages within the Web Site (unless you receive permission from Barnstable County Sheriff's Office to do so); (iii) the appearance, position and other attributes of the link may not create the false appearance that your organization or entity is sponsored by, affiliated with, or associated with Barnstable County Sheriff's Office; (iv) when selected by a user, the link must display the Web Site on full-screen and not within a frame on the linking web site; and (v) Barnstable County Sheriff's Office reserves the right to revoke its consent to the link at any time and in its sole discretion. This Web Site is operated by Barnstable County Sheriff's Office from its place of business within the Commonwealth of Massachusetts, U.S.A. Barnstable County Sheriff's Office makes no representation that the information in the Web Site is appropriate or available for use in other locations, and access to the Web Site from territories where the contents of the Web Site may be illegal is prohibited. Those who choose to access this Web Site from other locations do so on their own initiative and are responsible for compliance with applicable local laws. Any claims relating to the information available on this Web Site will be governed by the laws of the Commonwealth of Massachusetts, U.S.A., excluding the application of its conflicts of law rules.